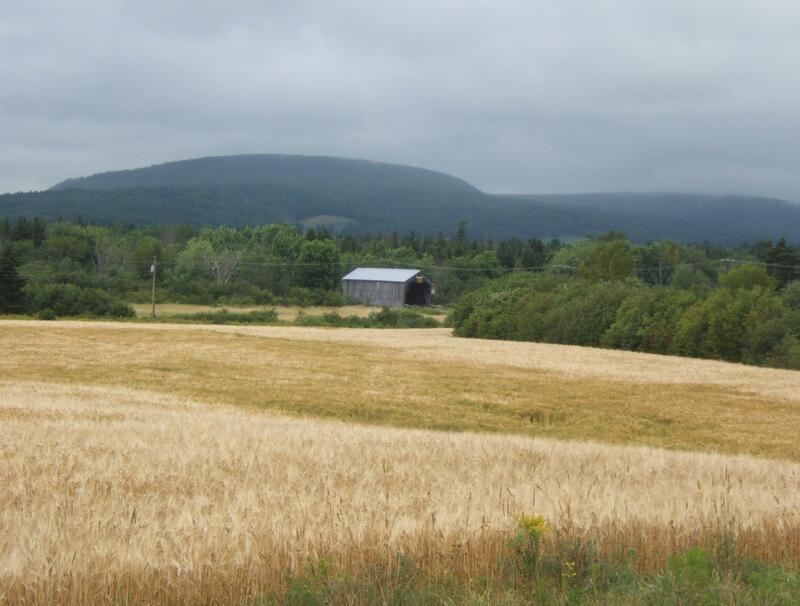 new book about covered bridges in New Brunswick – coming soon! In New Brunswick, we love our covered bridges. 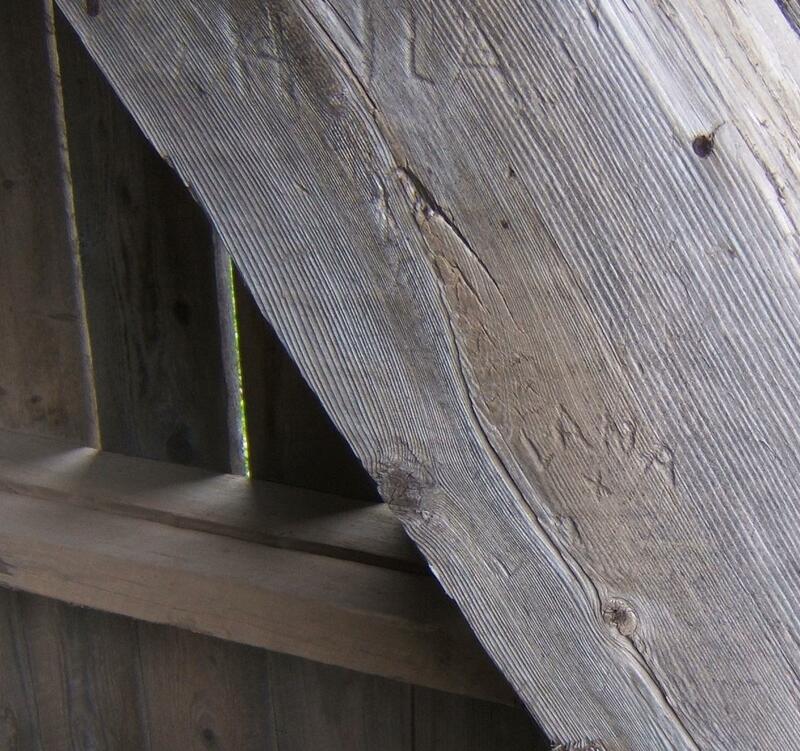 They are part of our history … a walk inside a covered bridge gives you access to one of the best ‘written’ pages you will ever read, the carved and scribbled notations of a century of passers-by. My new book ‘in the shelter of the covered bridge’ (published by Chapel Street Editions) is a tribute to the value of our covered bridges as part of our landscape and ecology. In the book are 73 of my poems about plants and animals living in the vicinity of the covered bridge. Many of the poems are about the ways humans use the spaces inside the covered bridge. ‘in the shelter of the covered bridge’ includes poems about 35 different covered bridges, most crossing the St. John River or its many tributaries. There are also poems about a few bridges in Charlotte and Westmorland Counties. I hope you will buy a copy of my book! I will keep you posted on the publication date and availability! If you would like to win a paperback, postage-paid copy of ‘in the shelter of the covered bridge’ enter the draw by leaving a comment here on any post of my blog from now until I get my 500th follower, sometime within the next few weeks or days. You can also enter by leaving a comment on any posting of my blog on my Facebook page. One entry per commenter per post. 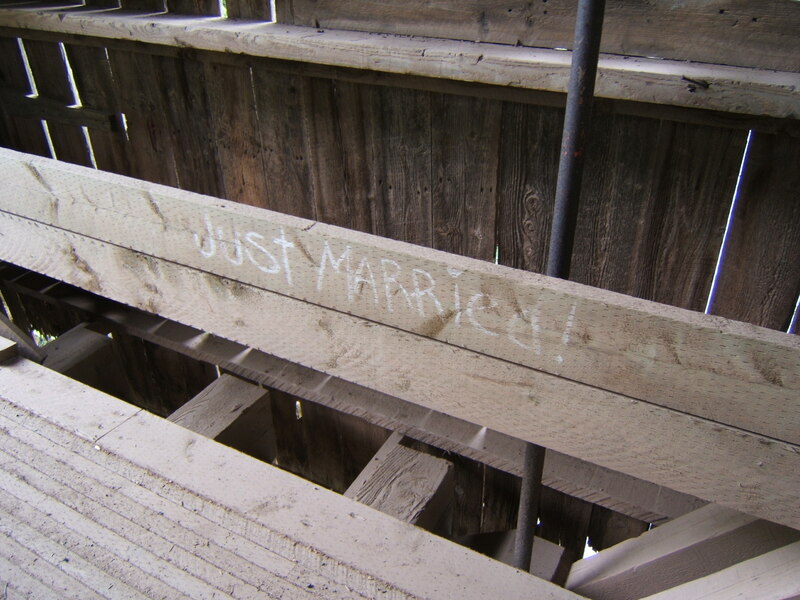 A covered bridge is also known as a ‘kissing bridge’ – a place where a couple can steal a caress in privacy. 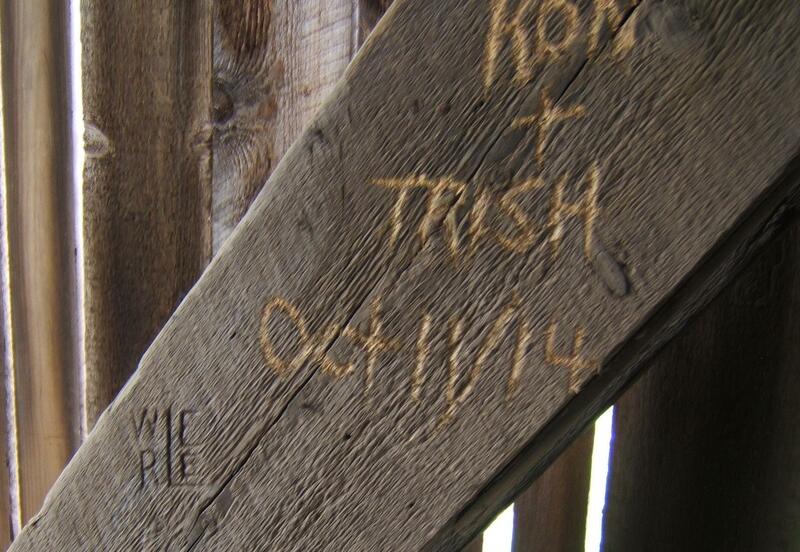 A covered bridge has always been a good place to leave a message about affection for one another. 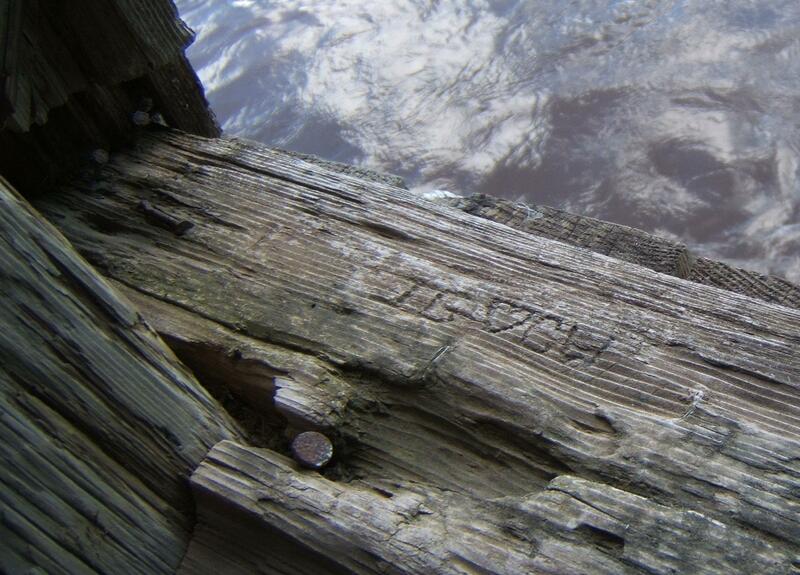 And, back in the MacFarlane Bridge, an incomplete notation. Who did LANA love? More painting going on. Trying to capture some of our dramatic New Brunswick landscape. This summer we drove through the rural countryside near Millville and loved the brilliant yellow mustard fields. This painting is called ‘mustard electric’, 24″ by 20″, acrylic, gallery edges, painted with Hansa yellow, Ultramarine blue, Titanium white. When I had it in the living room, it was impossible to ignore, its blast of yellow lingering in the peripheral vision!